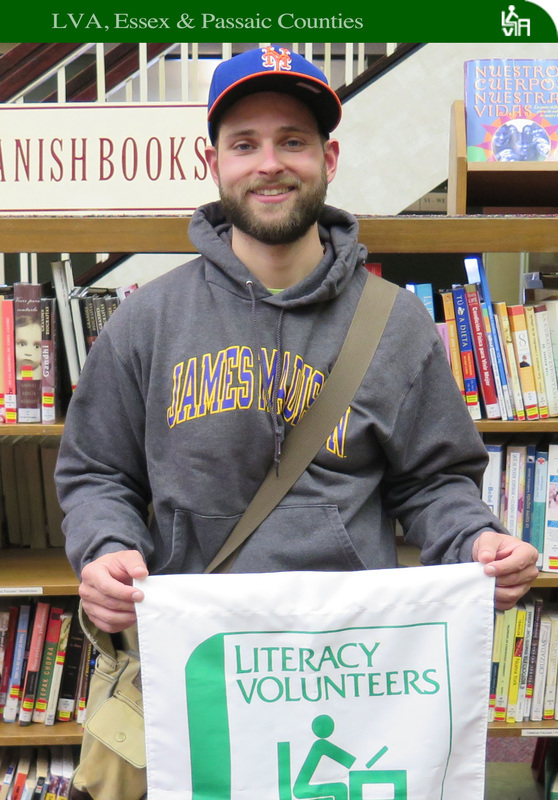 While most tutors come to Literacy Volunteers of America when their professional careers are winding down, Giovanni Romeo is just beginning his. And, what a beginning it is. Although he felt the training was “wonderful,” Giovanni said sitting down face to face with a student was all together different. “I really did not feel that I knew what I was doing until I started tutoring. I am shy to admit that I thought my first meeting was a disaster,” he said. Contrary to his early self-evaluation, Giovanni tutored three students, all of whom progressed rapidly and improved their employment opportunities. June 1, he will load up his car and head west to teach a new group of eager students. With the confidence he gained through LVA, Giovanni is excited to begin his this new chapter. Abby hit the ground running and was quickly matched with an ESL student from Albania. “Engjell was so much fun,” Abby said. “He had a very outgoing personality and we found out ways to communicate despite the obvious language barrier.” He introduced Abby to Interchange English for International Communication that incorporated conversation and grammar. Both found this interactive method to be a very useful tool and Abby still uses this today. Abby’s second student, Bhavana, was from India and together they shared the joy of cooking Indian food. “I love to cook and I love Indian food. It was the perfect marriage,” Abby said. Abby is equally pleased with her other current ESL student, Silvy. Together, they are working on Silvy’s resume and are hoping employment is soon in the offing. A member of the Dominican order since 1957, Sister Patricia is a quiet, gentle woman. She meets with her ESL student every week at the Bloomfield Library. Together they are on a journey through the English language, combining literacy and civics. Sister Patricia is not new to teaching. She brings with her skills acquired in a long spanning career of teaching English in grammar, middle, and high school. Once she picked up a master’s degree in pastoral ministry, she worked with adults and led scripture study classes, prepared parents for the Baptism of their infants as well as helped anyone who was seeking to join the Catholic Church through the RCIA (Rite of Christian Initiation of Adults) program. After her retirement in 2013 she continued working by helping at a health care center and tutoring the students at the Academy of St. Dominic in Caldwell. Her dedication to helping was never in question. The Sisters of St. Dominic have a special commitment to education at all levels, especially to those who are in need. It is not surprising; therefore, that Sister Patricia found her path to LVA through another religious from Monmouth County who was also a former teacher and now a current LVA tutor. 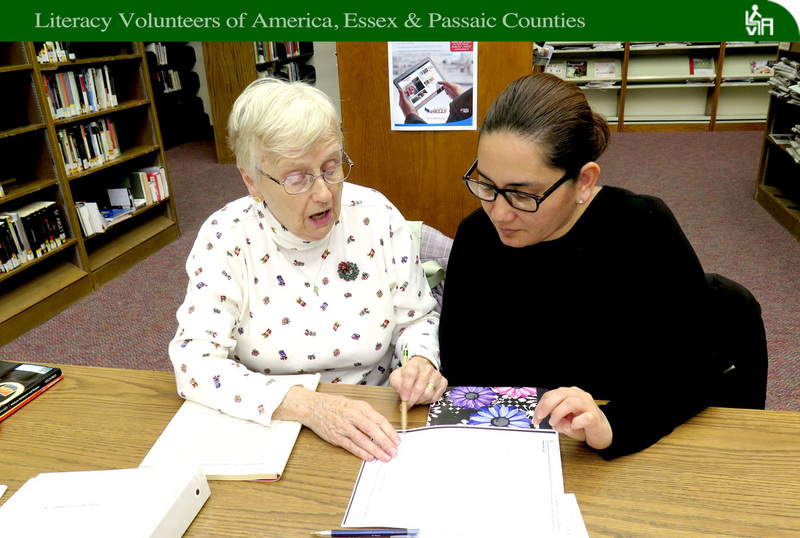 With great interest, Sister Patricia went on line and found the number for the LVA Essex & Passaic Counties’ office. She called, left a message, and within a month began training. Fred Liss came to Literacy Volunteers of America with tons of international experience, starting from his days as a college student in England to those spent inspecting refugee camps during the breakup of Yugoslavia. “The conditions were appalling,” Fred remembers of the camps, which he evaluated for non-governmental organizations in the 1990s. He continued his work in Eastern bloc countries as an editor and writer for Life Magazine in Ljubljana, Slovenia. There, he interviewed President Clinton, as well as the U.S. ambassador to Slovenia, and others in political power. He likely always has. Even as a young man, Fred tutored at-risk kids from Newark. “I came from a family that taught me the values of community and giving back,” he said. Fred has traveling in his blood, and to LVA’s good fortune, he settled in the Essex County area, where he first joined LVA in 2006. As a young man, Fred studied English and sociology in the U.S. and later attended school in England. He spent nine years as an ESL teacher, working in Slovenia at Berlitz and Waldorf schools. “I was fascinated by the culture. I felt a connection with the people. Working with the Muslim community in Slovenia was incredibly eye opening,” Fred said. Mary is a big proponent of teaching small groups of students. Currently she has a group of four students, all with varied backgrounds and abilities. She stated her educational philosophy, which is, “If you can teach one student, it is just as easy and in some ways easier to teach small groups. You can utilize the interactions among students to move the lesson along.” And along they move with gesturing and laughter, which one could easily mistake for a party game of charades. One aspect that cannot be mistaken is that learning is always taking place. Under that warm smile, a serious taskmaster resides. Mary taught in an all girls’ high school for 34 years and also worked as an administrator for six years. Upon her “official” retirement, Mary wanted to have the opportunity to work with adults and through Volunteer Match, she found LVA. “And,” she said, “the rest is history.” Her desire to work with adults stemmed from her immigrant Italian father and his experience learning English as a second language. Mary said, “I like teaching people from other countries or Americans who got short changed.” Along with her group, she also tutors individuals whose native tongue is English but for various reasons can neither read nor write. In 2014 Mary was awarded “Teacher of the Year” by the New Jersey Association for Lifelong Learning, the largest adult education association in the state. Learning to speak, read, or write a new language requires determination, patience and understanding, both from adult learners and instructors. Perhaps no one knows this better than Debbie Bloomer. Legally blind since birth, Debbie has learned to communicate effectively in English, Spanish, and Braille. She joined Literacy Volunteers of America four years ago and brought with her decades of experience in helping students overcome obstacles to learning. Debbie has retired but never really stopped teaching. 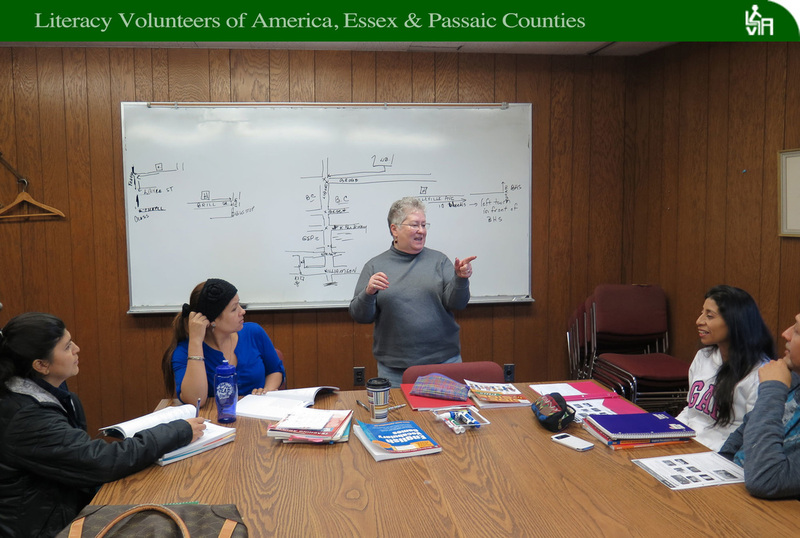 In her first volunteer assignment following retirement, she taught an ESL class at the Bloomfield Public Library. When LVA moved to the Bloomfield Public Library, Debbie took the training to become a tutor. It meant juggling her tutoring schedule with her many other activities but why not? She’d worked with adults before and she still enjoyed teaching. So, with a few modifications, she was off and running. “One of the things that goes with being visually impaired is that you have to do a little more preparation,” Debbie noted. That includes making minor adjustments, such as having two copies of the same material, one for herself and another for her student, and creating worksheets in large print. She also translates material from Braille and employs speech recognition software. “Sometimes I look up free worksheets on the internet and other times I create my own,” she said. “It depends upon what I am teaching.” Debbie is a big fan of the Challenger series and highly recommends it for adult learners. Through her many years of experience, Debbie developed a mantra: “With a little bit of planning and very few adaptations, someone who is visually impaired can easily become a student or a tutor,” she said.